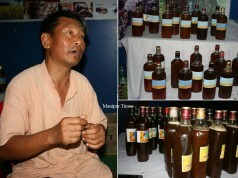 Laimayum Bungo Sharma, 31 of Sega Road Takhellambam Leikai is a self made man who is hard working and dedicated. 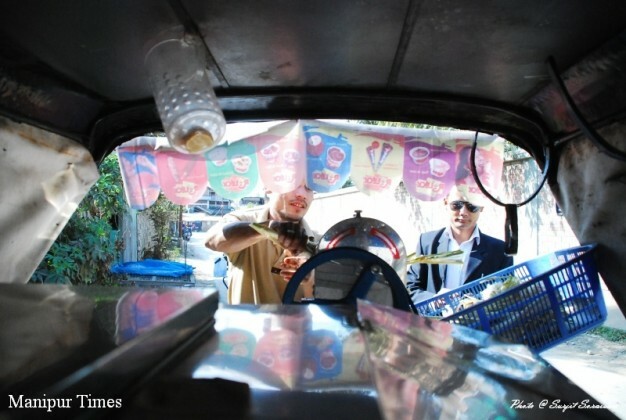 Bungo has been selling sugarcane juice for the past two years. He has a portable sugarcane juice extractor in which he moves around places and sells sugarcane juice. When he first started out, he would extract the juice manually. 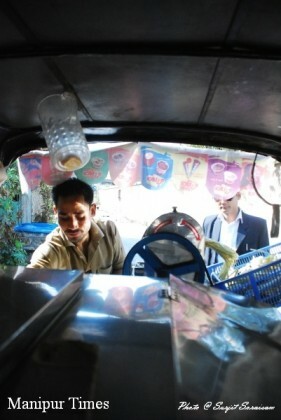 But recently, he acquired a juice extractor by fixing an engine which runs in diesel. The machine could automatically extract sugarcane juice. He bought the machine from Tumu in Myanmar. 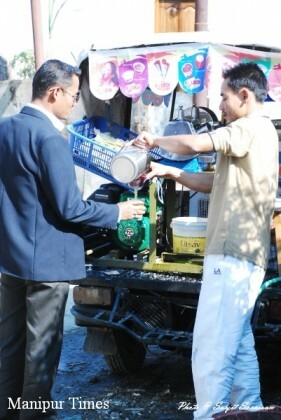 He was first among other sugarcane juice vendors who sold machine extracted juice. The portable juice extractor cost him 80000 rupees. In a conversation with Manipur Times, Bungo told that this newly installed machine enables him to serve clean and fresh sugarcane juice. 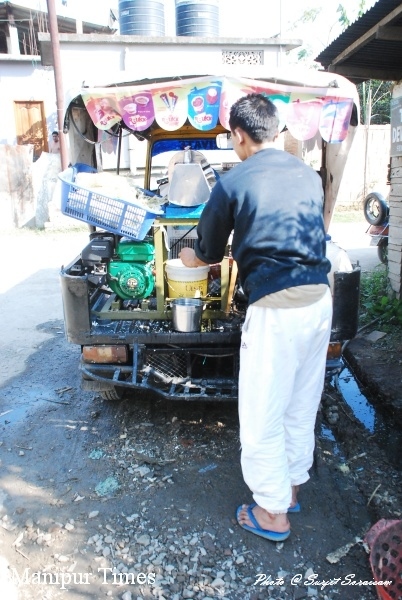 And customers are pleased with his service as he serves fresh and dust- free sugarcane juice which otherwise would not have been possible if extracted manually. 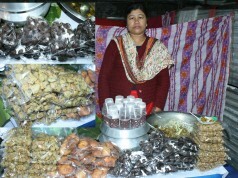 He usually sets up his vendor every day in the morning at various community halls. People who play and exercise in community halls buy sugarcane juice from him. He also sells from his home where he has his string of regular customers. He thus, invests most of his time working the entire day. He sells the sugarcane juice at 10 rupees per glass. And he easily earns 500-600 rupees a day. After deducting the capital, his profit and earning is around 300-350 rupees per day. However, this amount doubles or triples during the summer season. Long before he ventured into this, he was associated in completely varied disciplines. He was a body building player before he married. He also dabbled as a cook in hotels, a driver. But none of these made him feel content. 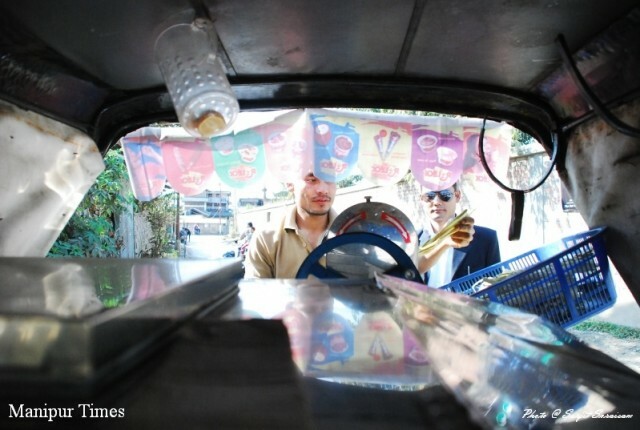 His heart lay in starting his own business and that’s when he started selling sugarcane juice. He sells about 2-3 bunches of sugarcane on an average, every day. He buys the sugarcane from Nagamapal, Imphal. However, sugarcane juice is consumed less in winters and hence the sale is lesser. 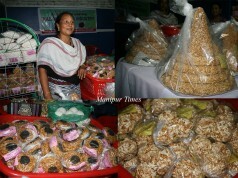 In terms of productivity, there is no shortage of sugarcane in Manipur except in the month of September and October. Bungo share instances where customers often praise and encourage him to set up his vendor in their area. On one such occasion, customers in Singjamei area appreciated him when they saw the new method of extracting sugarcane juice. They also asked him to come to the place regularly. 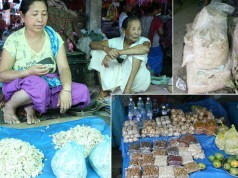 According to Bungo, there are lot of educated and uneducated youths in Manipur. It is not possible for the government to provide a job to everyone. We need to introduce new thoughts and ideas so that we can earn our own living. He said that we need to build a work culture. He feels that our society will grow only when there is dignity of labour and when no one is ashamed of any type of job.